Following two anti-cop incidents last week, Dunkin’ Donuts said Tuesday that it will work with store owners and employees across the country “to reinforce our obligation to serve all of our guests with dignity and respect” after two incidents in which police officers complained they were mistreated. In a second incident, on Saturday, a Dunkin’ Donuts employee at another franchise location reportedly told an officer, “We don’t serve cops here,” according to CNN affiliate WTNH. The store manager and the employee followed the officer out and apologized, the station reported. Dunkin’ Donuts reacted over the weekend, calling the incidents isolated and noting that both franchise owners had apologized. 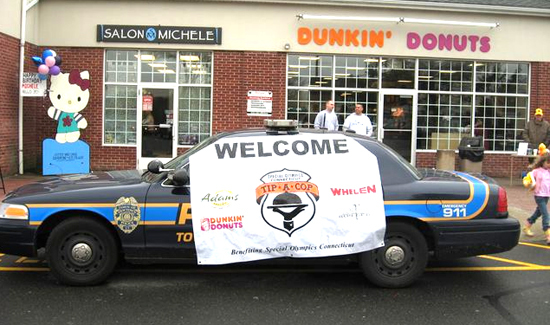 “From first responders to the military, Dunkin’ Donuts has a long history of supporting those responsible for the safety of our neighborhoods and our country,” the company’s statement said. That is not cool. Officers should expect and receive the same service as everyone else. Employees need to leave their political and social beliefs/commentaries at home when they are doing their job.